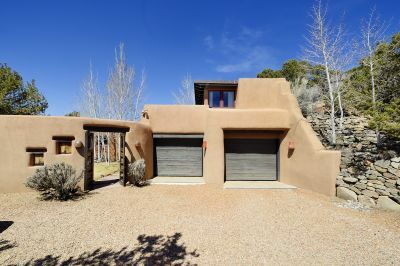 Superbly Santa Fe! 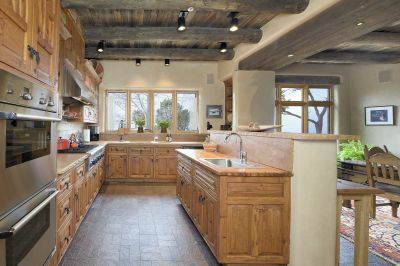 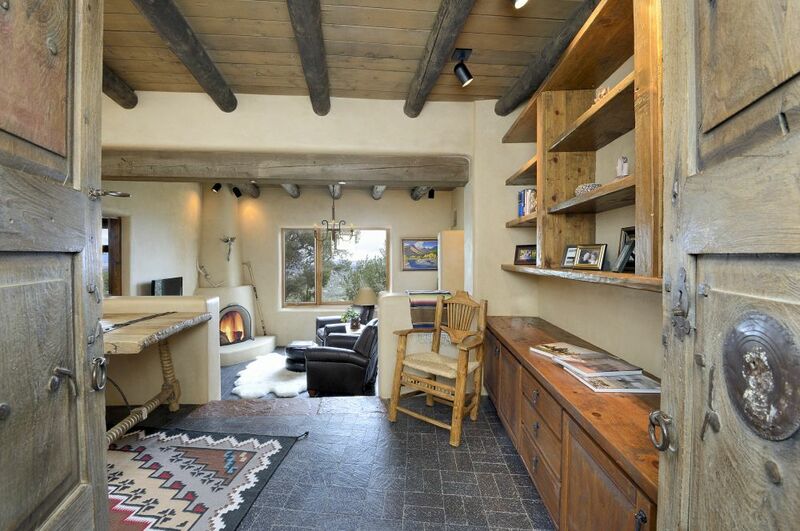 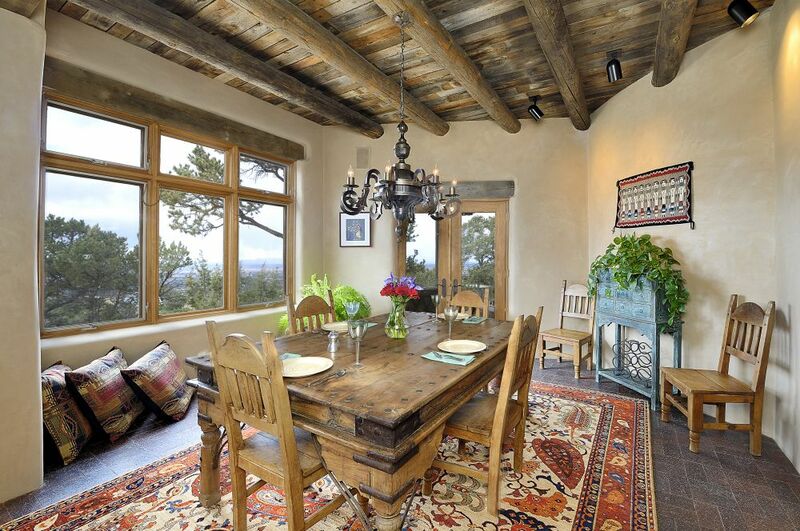 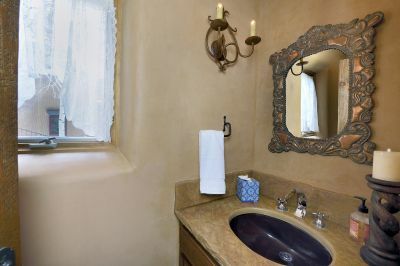 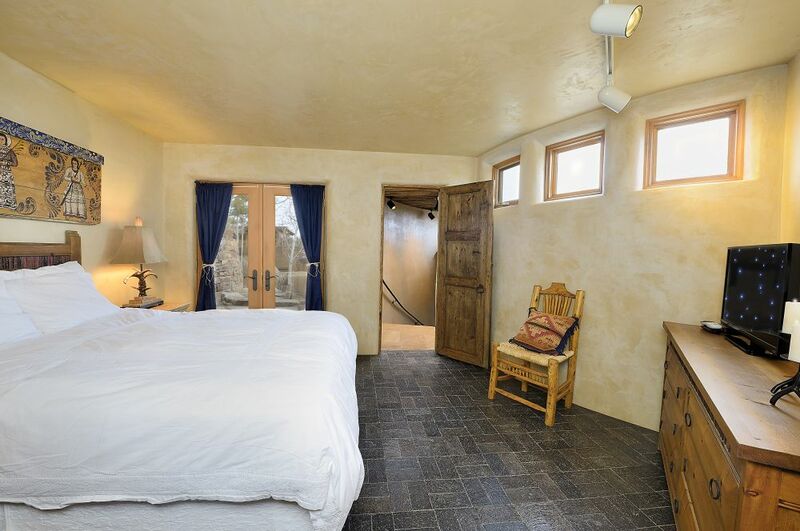 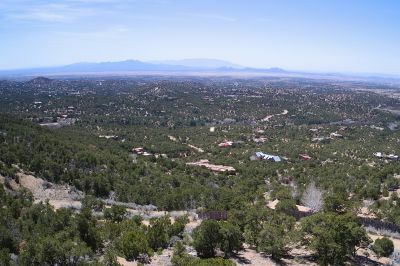 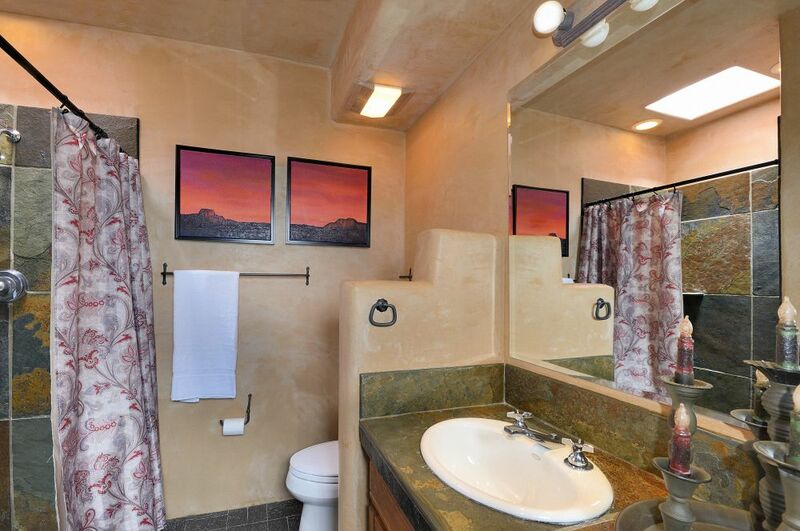 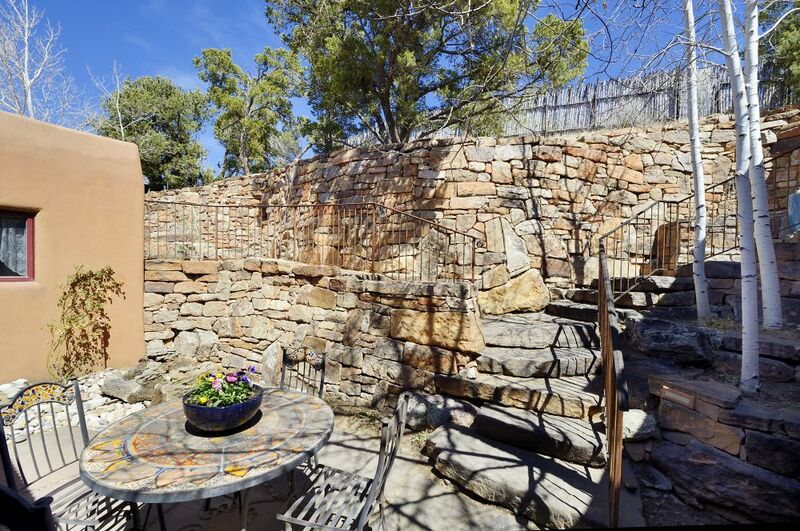 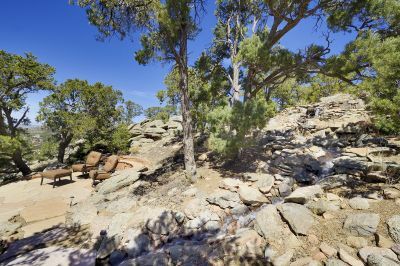 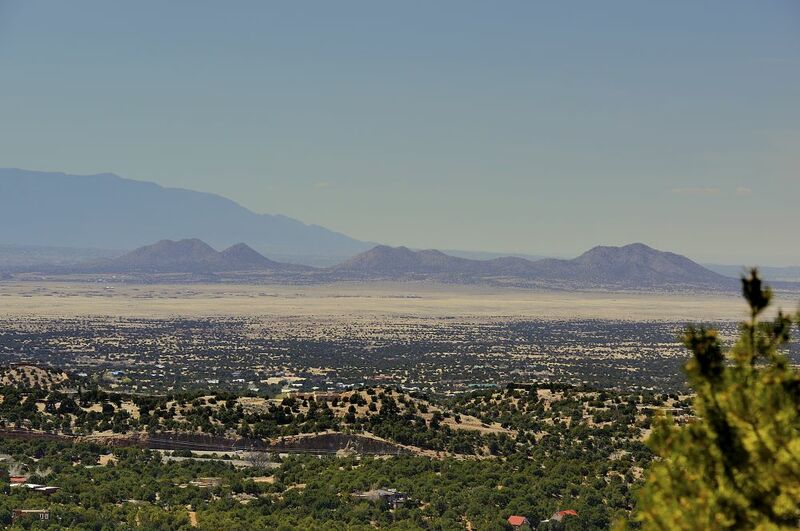 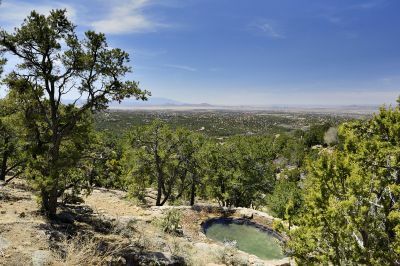 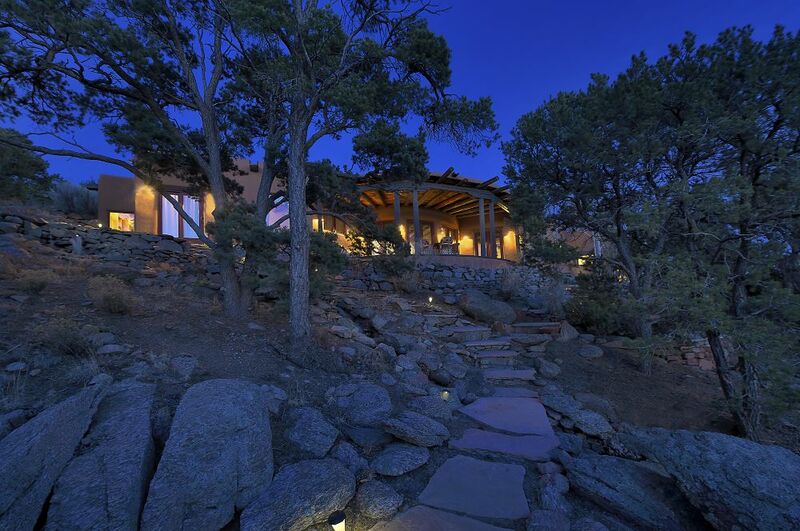 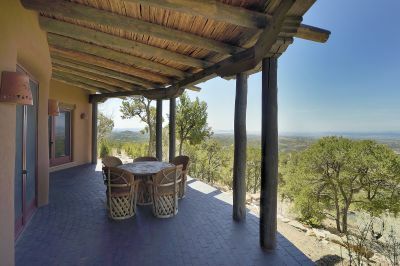 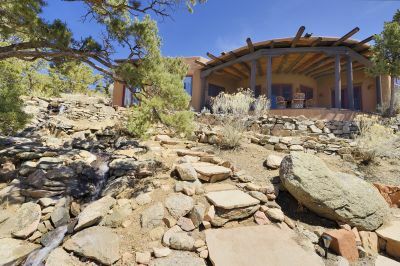 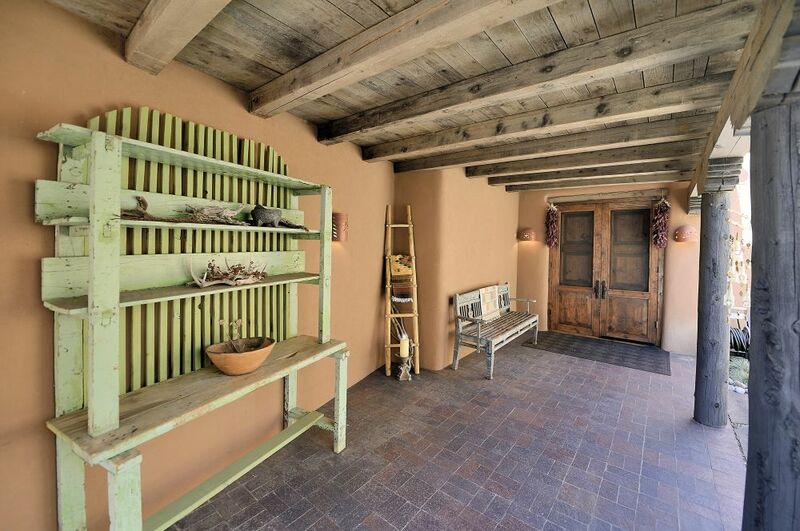 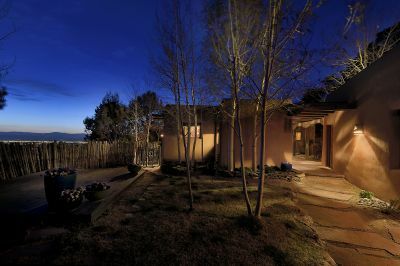 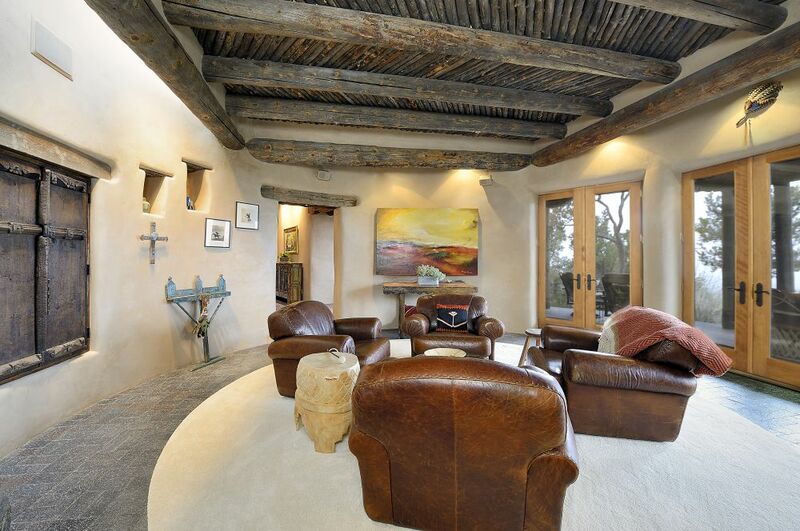 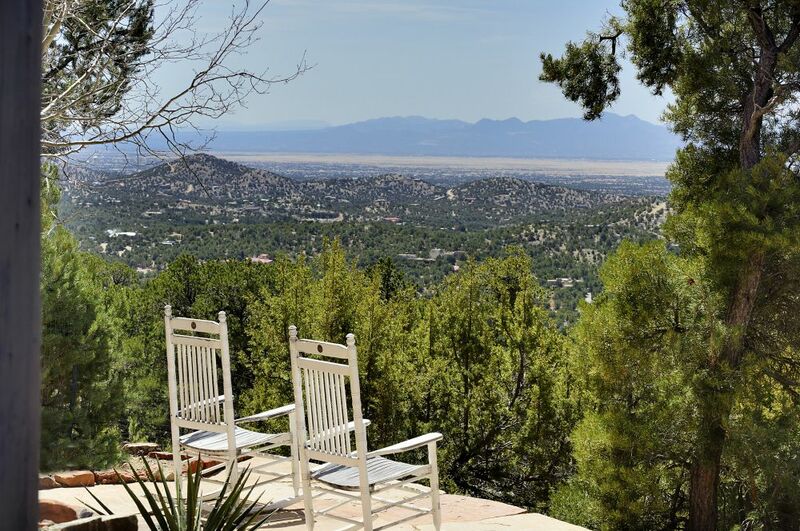 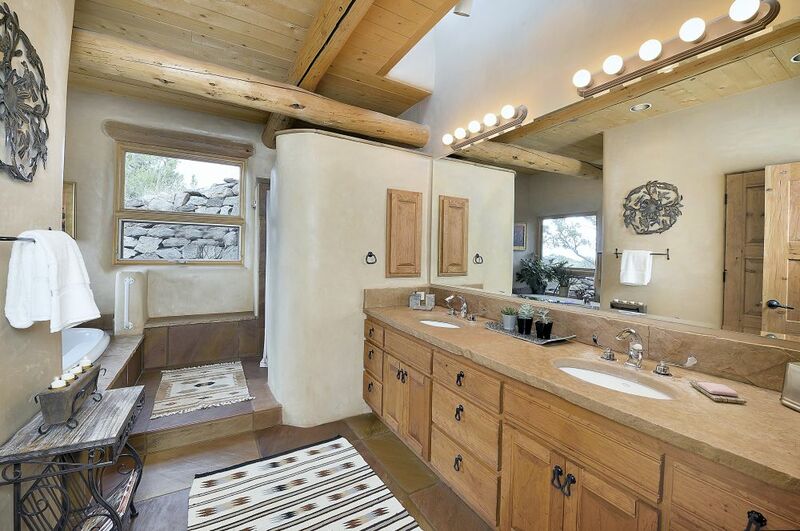 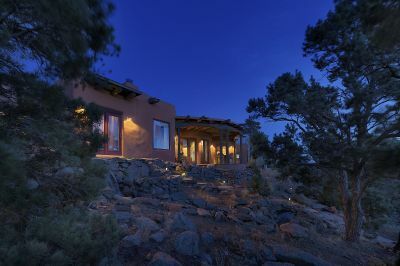 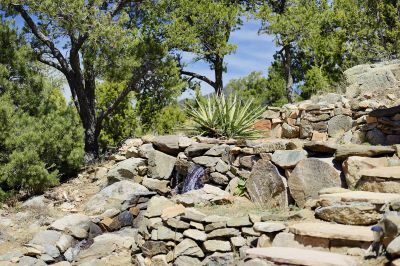 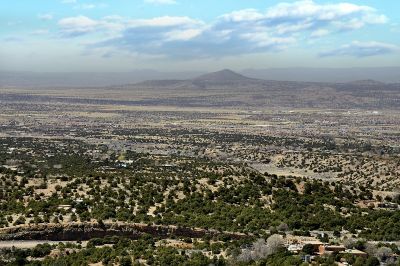 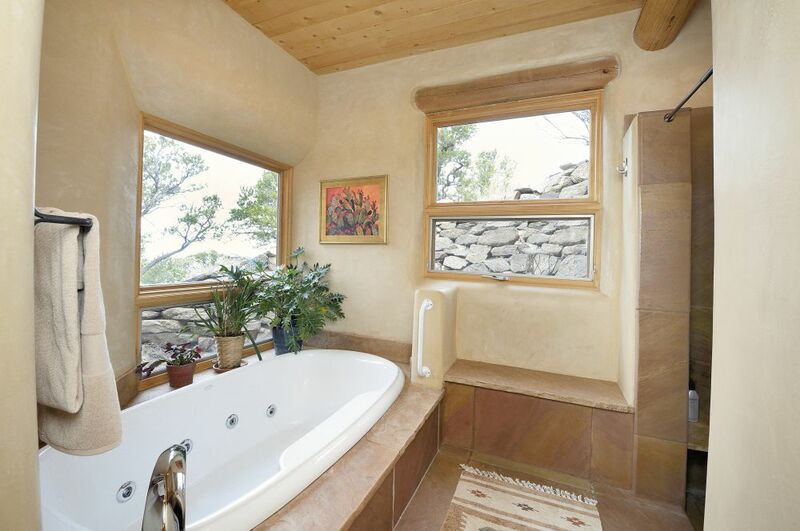 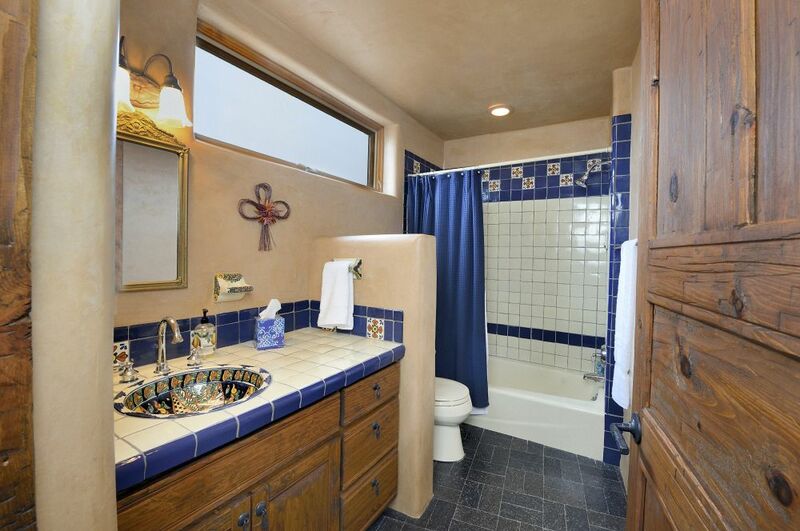 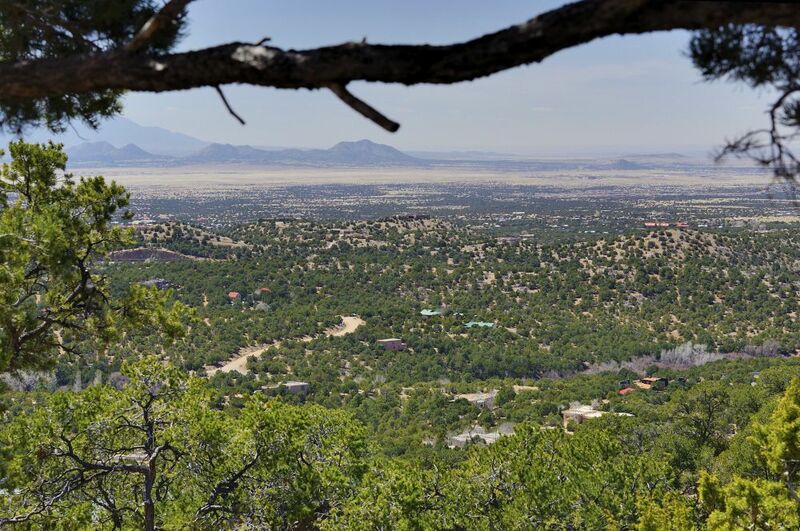 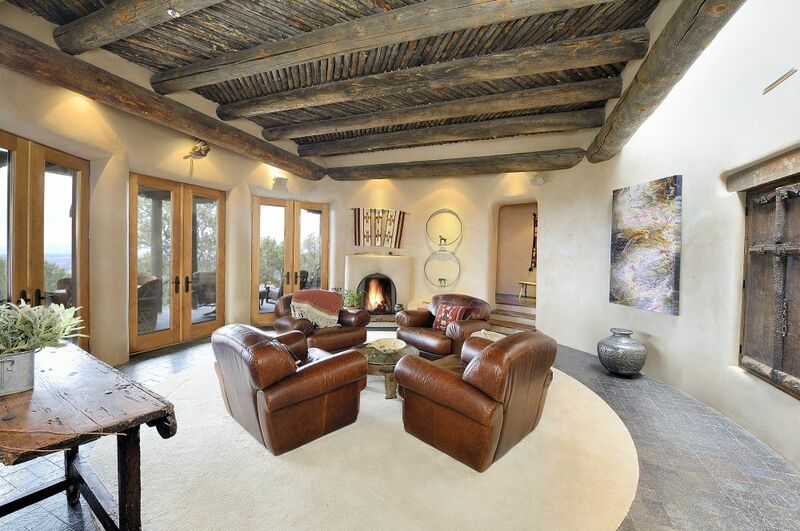 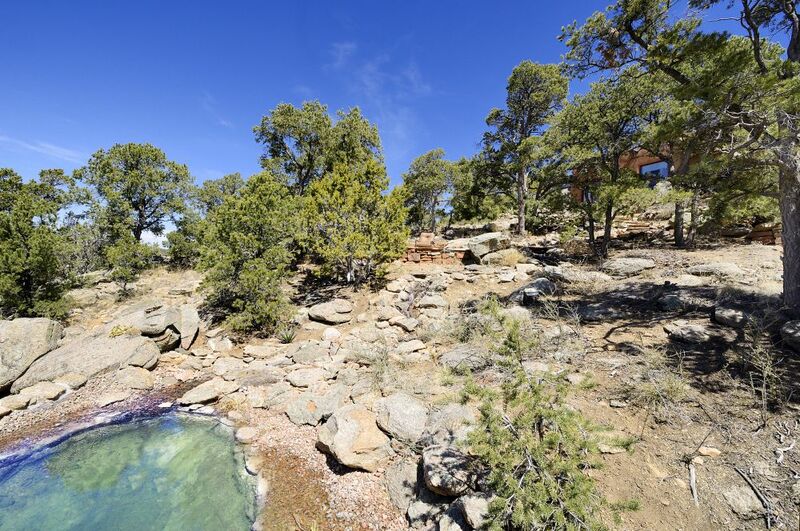 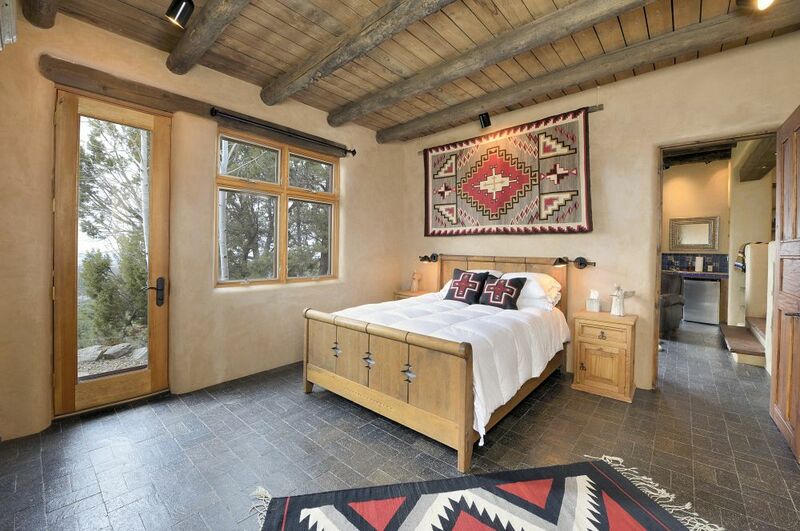 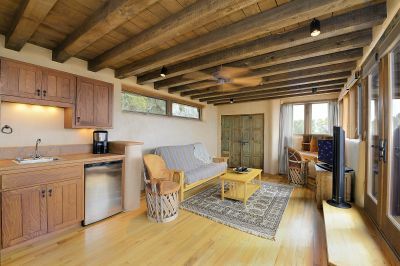 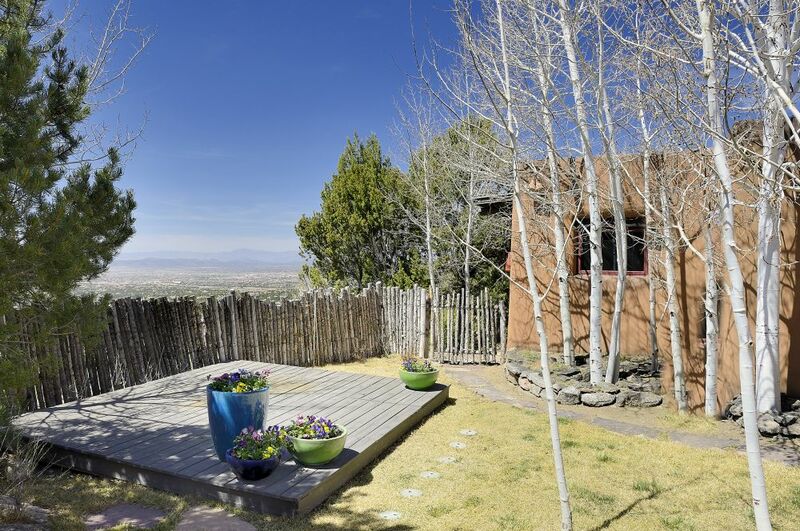 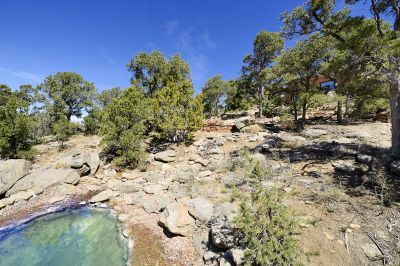 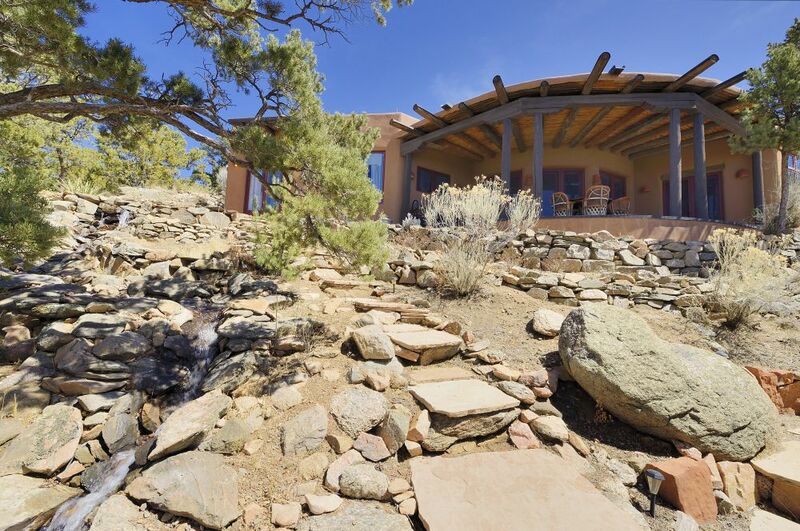 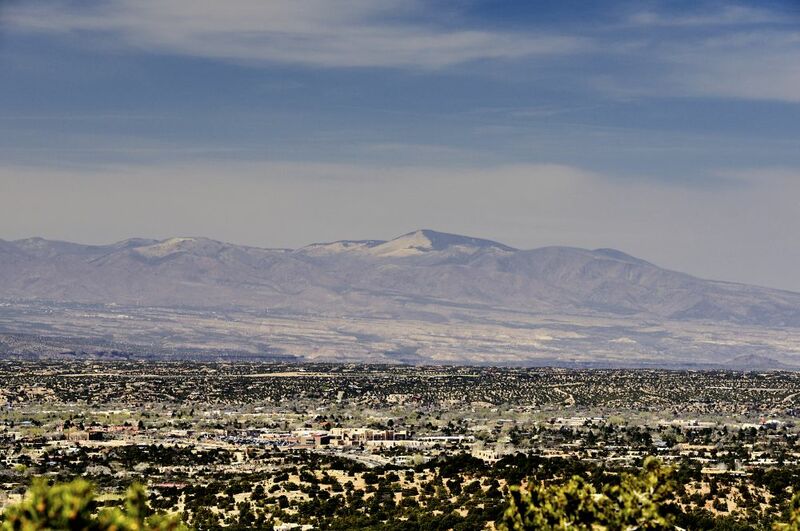 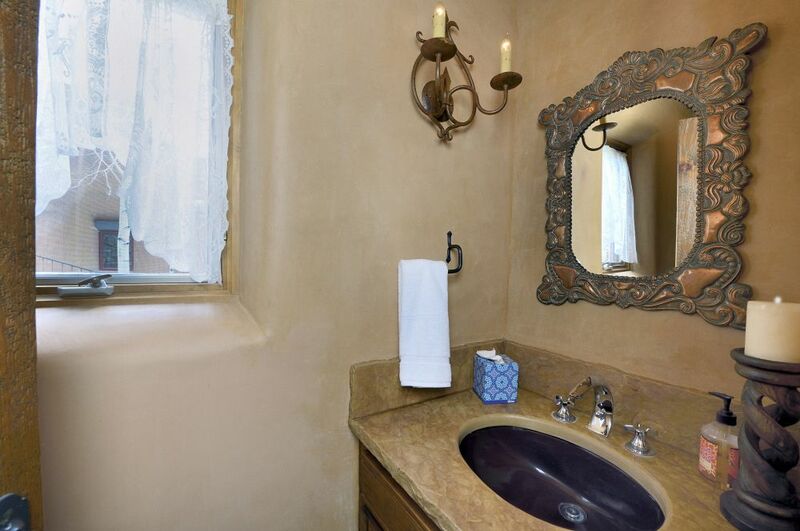 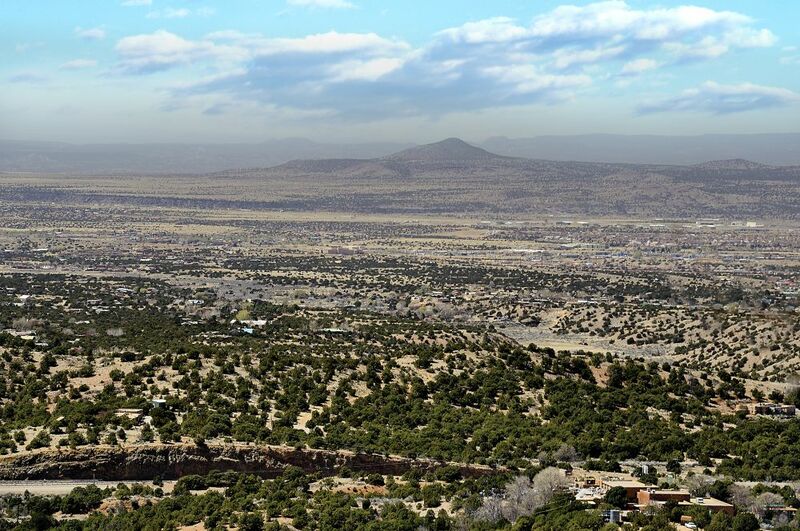 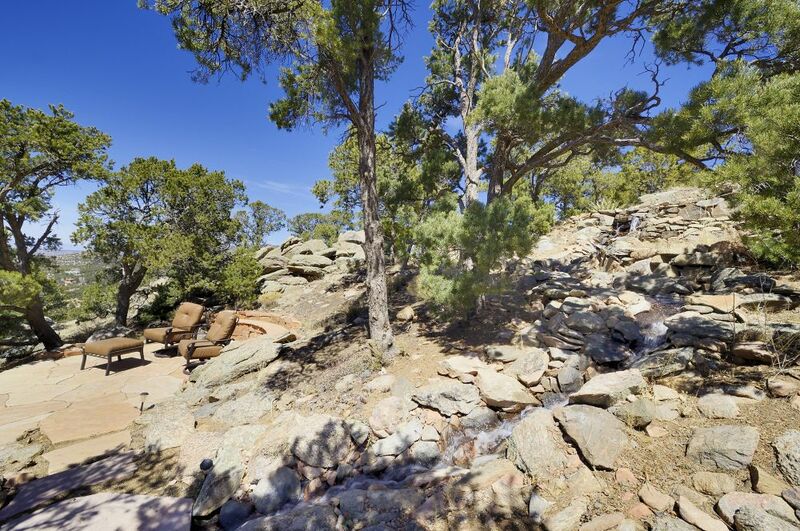 A finely crafted adobe and frame home exceeding expectation awaits on a hilltop off the Old Santa Fe Trail just a few minutes southeast of town. 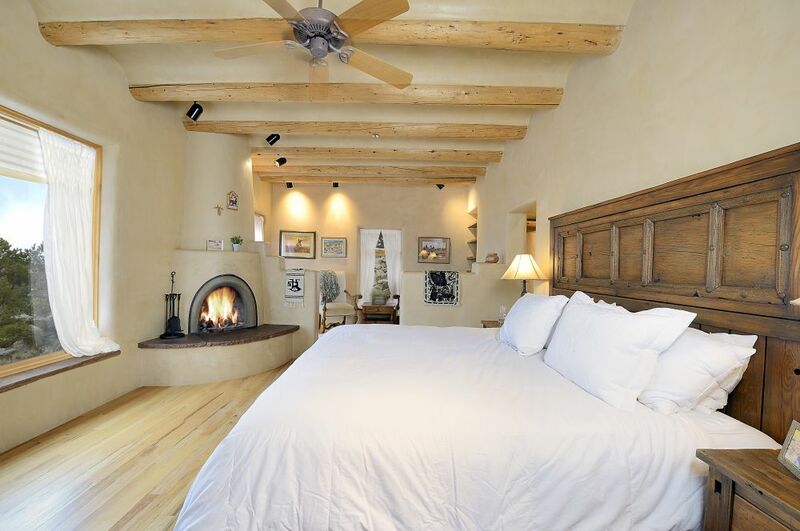 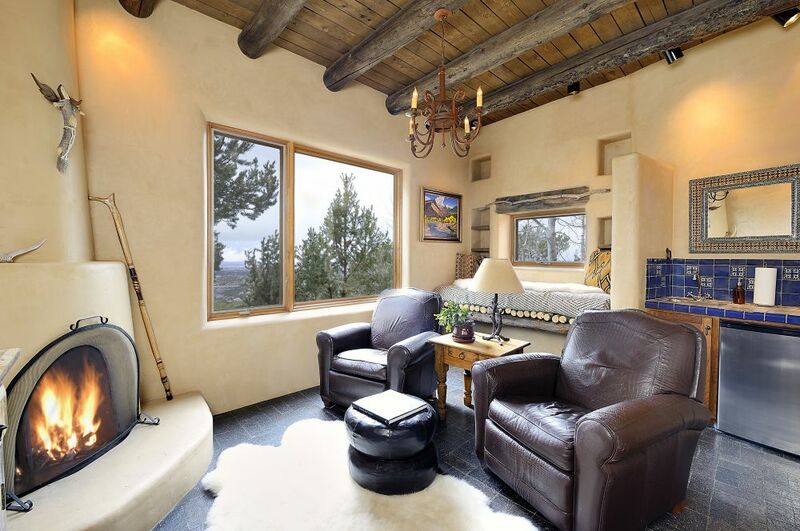 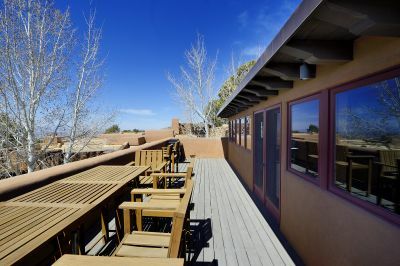 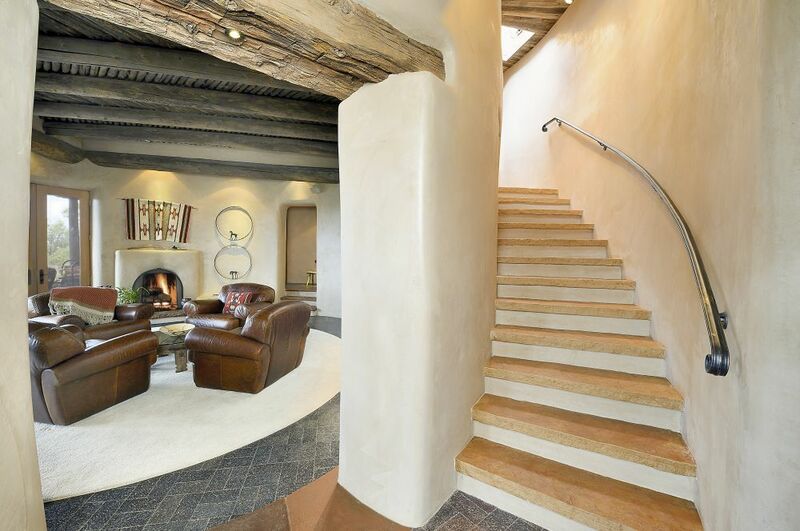 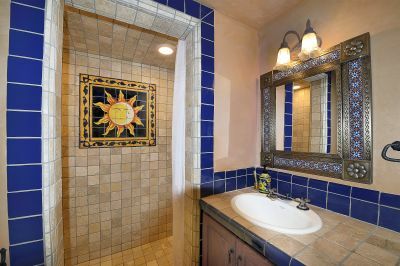 With traditional Pueblo architectural details and finishes, the residence has a delightful warm feeling and offers some of the most phenomenal views you'll find. 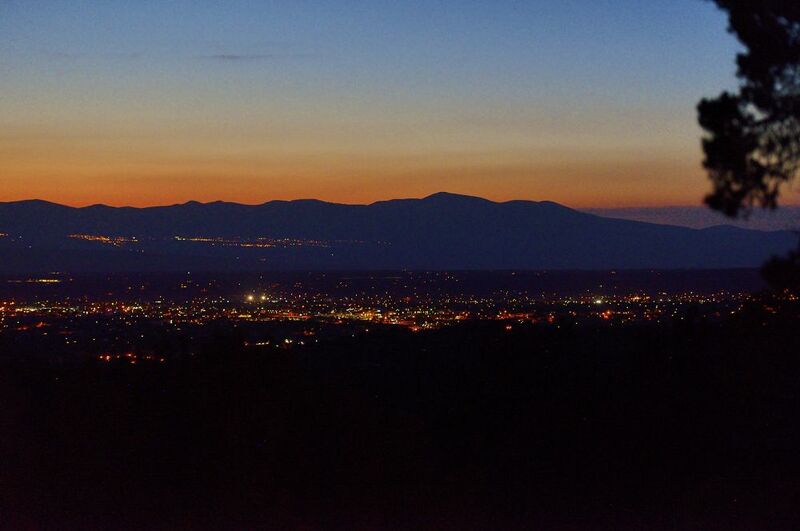 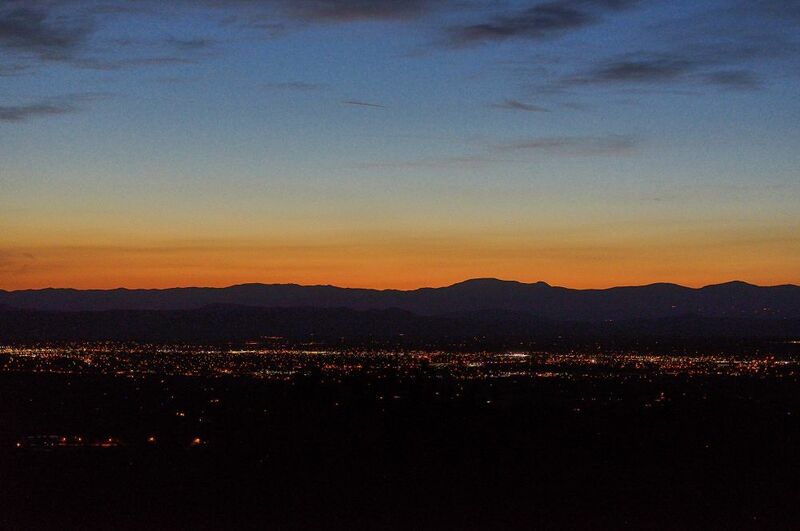 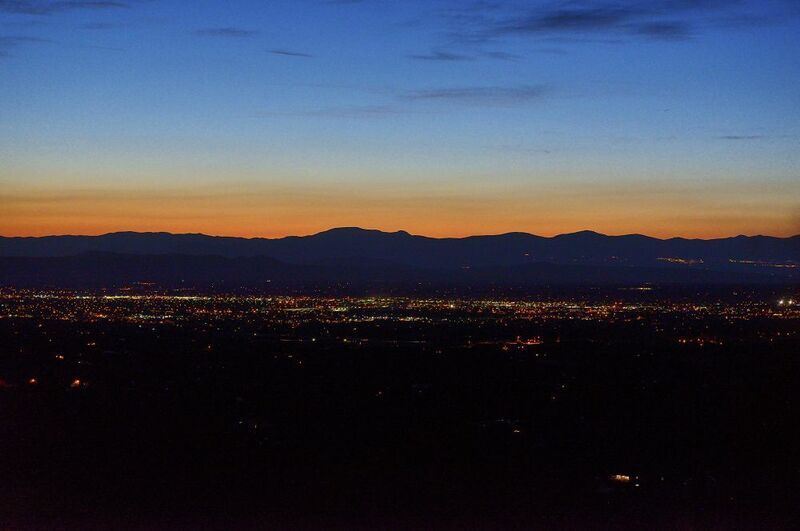 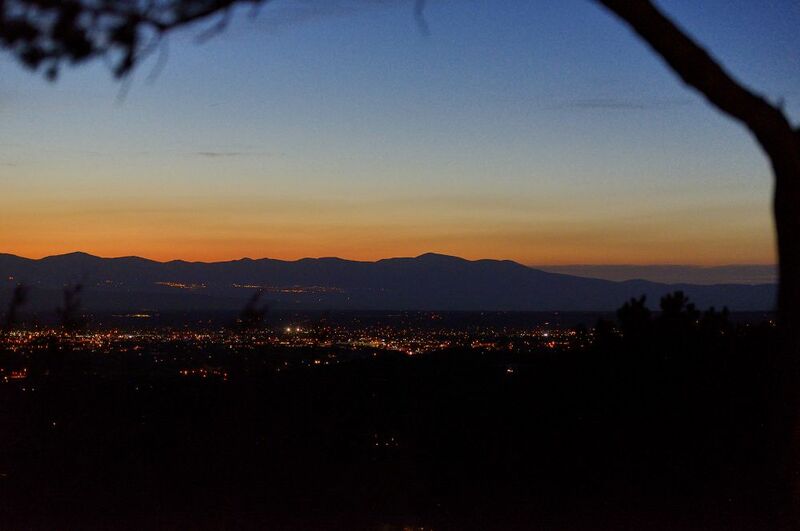 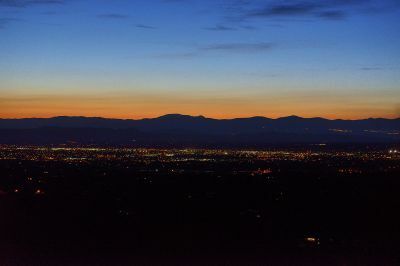 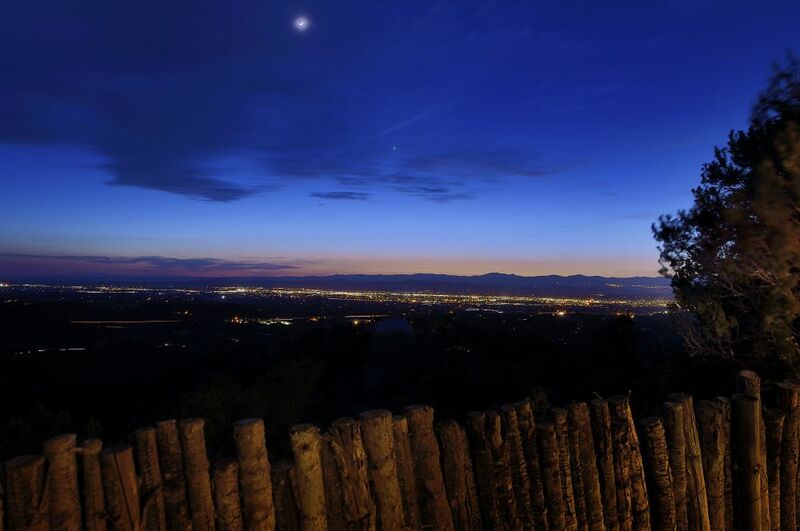 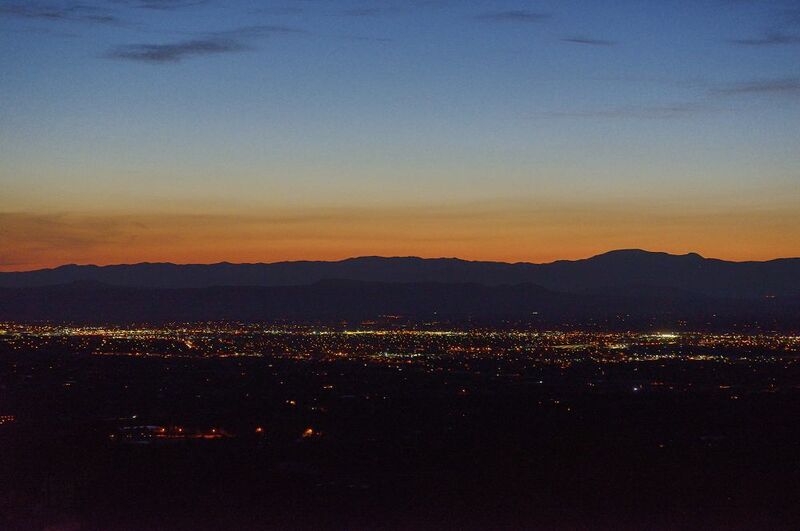 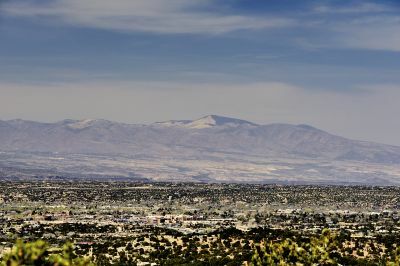 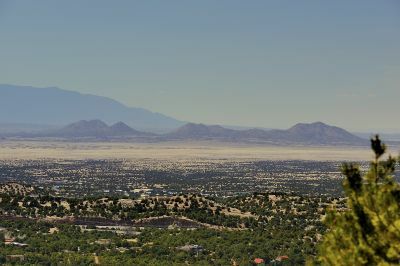 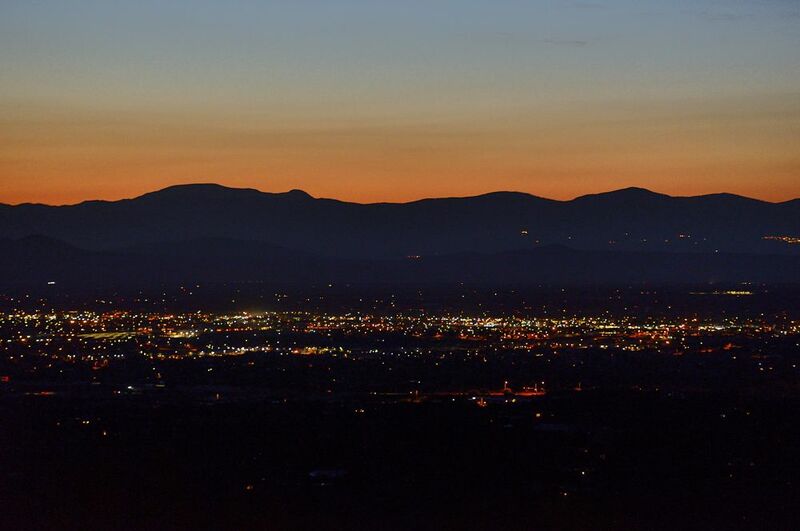 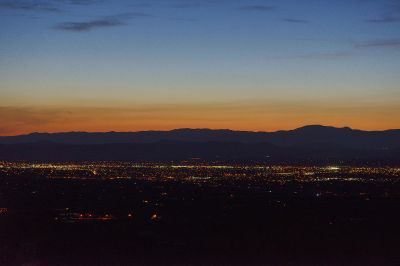 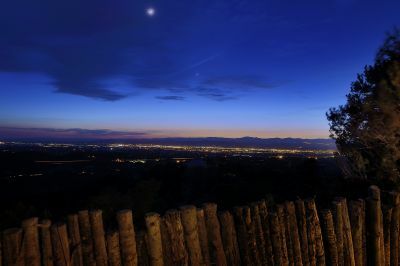 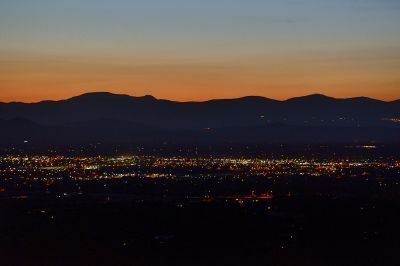 See for miles over the City to fabulous mountain vistas, amazing skies, gorgeous City lights, and spectacular starry nights! 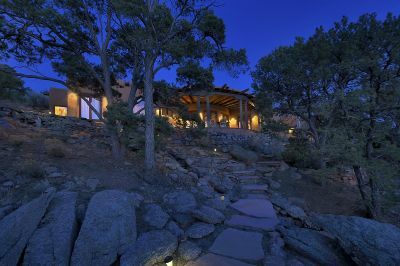 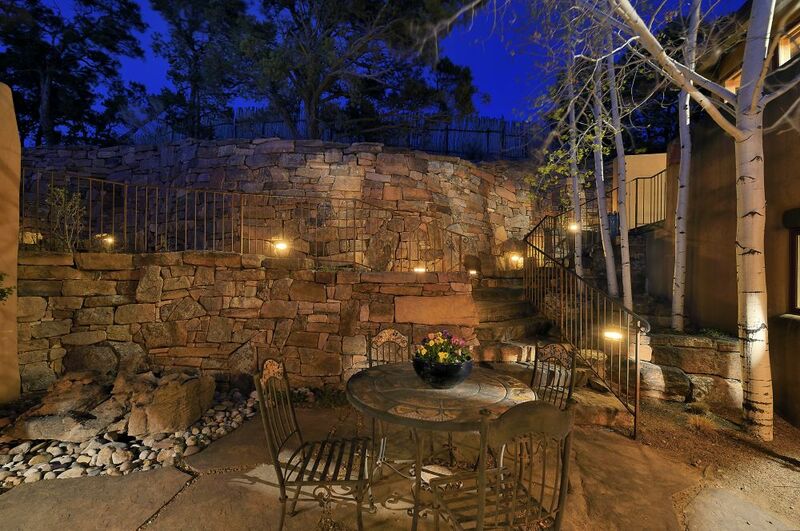 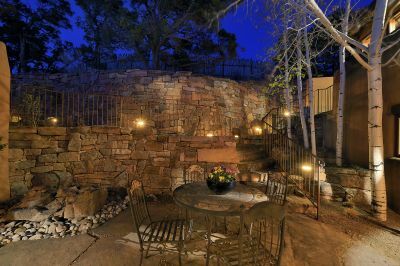 There's a stream flowing down the hillside to a pond and outdoor living areas nearby the sound of the cascading water. 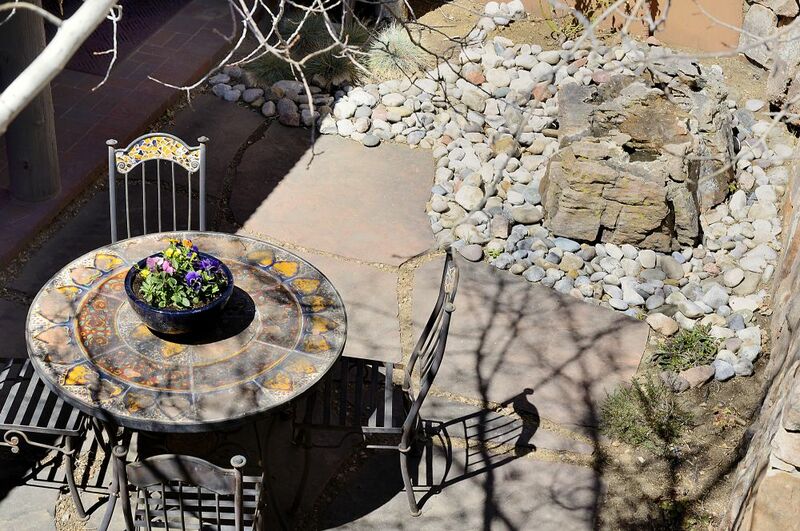 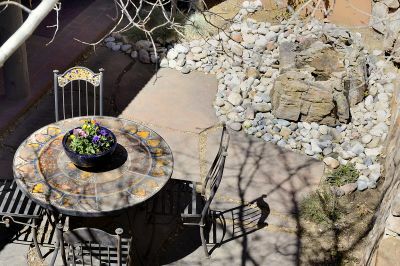 There's a wonderful portal at the house where one can enjoy our fabulous weather! Three en suite bedrooms include a very comfortable owners' suite with seating area, and the second bedroom is also a suite with a living area, wet bar, and library/office. Eye-pleasing features include three kiva fireplaces, beautiful viga ceilings, sensuous sculpted plaster walls, and flooring of brick, stone, and wood. 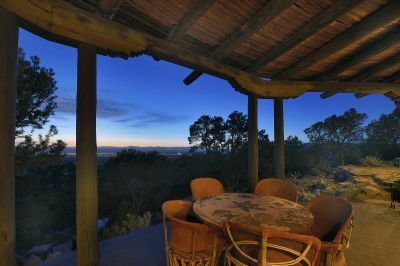 A detached guest quarters also has a fantastic view! Amenities include a two-car garage, a fire suppression system, a back-up propane generator, and a shared well plus a private back-up well. 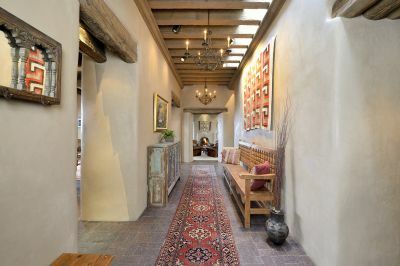 An exceptional offering not to be missed!